"Chicks in Chains - where they come from this is... Fun!" 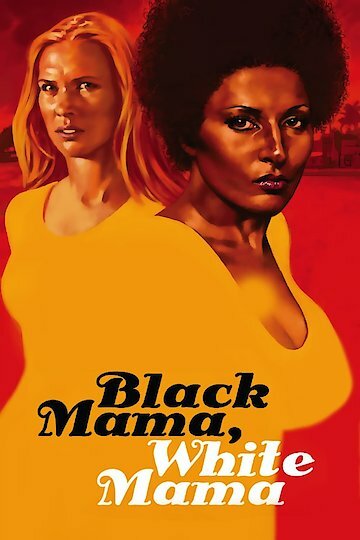 Black Mama, White Mama is a Blaxploitation film about two different women who have been sent to prison. Karen Brent is the white mama, and she has been sent to prison for her affiliation with a revolutionary group. Lee Daniels is the black mama, and she has been sent to prison after she is arrested for prostitution. They are chained together during a prison transfer, but their transport is ambushed during the transfer. Karen and Lee escape together, but they still have to escape from a plethora of bad guys. Black Mama, White Mama is currently available to watch and stream, download, buy on demand at Starz, Amazon, iTunes online.